Lack of communication will get you nowhere. It disrupts the flow of ideas, derails project development and causes frustration within a team. To be able to view all your team’s discussions and stay updated about who does what on the project, invite your team members to one centralised place where they can communicate and collaborate with ease. Being a member of an ambitious seven-strong team, people often ask me what’s the secret behind our success. I came to realize that all the big and small decisions we make on daily basis depend solely on one thing - communication. The success of your project begins and ends with successful communication. A team that doesn’t communicate is not a team - it’s only a group of people coexisting in the same room, each of them focused on their own goals. No matter how skillful and intent you are on creating a successful end-product, your success will heavily depend on how willing you are to contribute your team’s communication flow. After all, the creative quality of your work reaches its highest peak in open discussions and brainstorming sessions you have with your team. Unfortunately, the communication doesn’t always run smoothly. 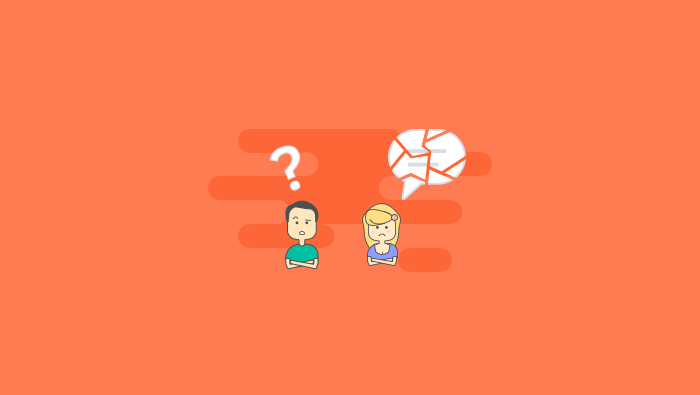 Let’s take a look at the main causes of bad team communication and some of the mechanisms you can use to reach communication nirvana within your team. Even if you are focusing your efforts into creating a team of highly competent, talented and culturally fit people, it’s almost impossible to predict how well those people will contribute to the team culture you so much aspire to early on. While some of them may feel insecure and afraid that their suggestions will be rejected, others are simply not used to being team players. Whether they are feeling insecure and afraid that their suggestions will be rejected or are simply not used to being team players, you must find the way how to balance your team culture. In such case, you must be the one who will help them overcome the barriers: Organise daily meetings, brainstorming sessions or workshops where they have the opportunity to get to know each other better and exchange their thoughts and ideas. You need to trigger their imagination and let them feel like a part of something bigger than themselves. Keep in mind that this is a long-term process and that you cannot expect changes to happen overnight. Even if your team communicates on regular basis, it may be challenging to build trust in the beginning without involving senior staff and manager. Since there is so much discussion going on during the day, and a lot of tasks to keep track of, it’s virtually impossible for a project manager to know everything that's happening on their team. That’s why you need to invite everyone to one centralized place where you will be able to track the progress, collaborate with other team members and check deadlines. This will help you create a transparent team culture and streamline the processes in the long run. Most importantly, this should give you a clear overview of your employees’ roles and responsibilities across multiple projects and help you make any necessary changes. The reason why many companies practice having teams with varied culture is because they appreciate the value that different viewpoints can bring to the table. But there's the other side of the coin - different viewpoints can sometimes cause conflicts between team mates. Keep in mind that there are two essential types of conflicts. If there has been just a small not particularly serious quarrel, it’ s not much of a concern. However, if your employees come into conflict because of different viewpoints regarding a particular task, that conflict can be destructive and disruptive. This is where you or some higher competent authority should step in the game and decide who’ s on the right page. If you are uncertain who is right, you can even conduct A/B testing and see whose idea works best. As a company with more than 40 employees, we have had our share of struggle when it comes to creating a regular and efficient communication flow and balancing it with our processes and a plan of action. With ActiveCollab we managed to build the habit of conducting a conversation in one centralized place and easily track all the information necessary to speed up the progress. Here are few things you can do to keep track of all relevant discussions and inspiring ideas with just a few clicks. If your team lacks consistent communication and there are occasional communication gaps that can be misleading, at least make sure the communication is as transparent as possible. 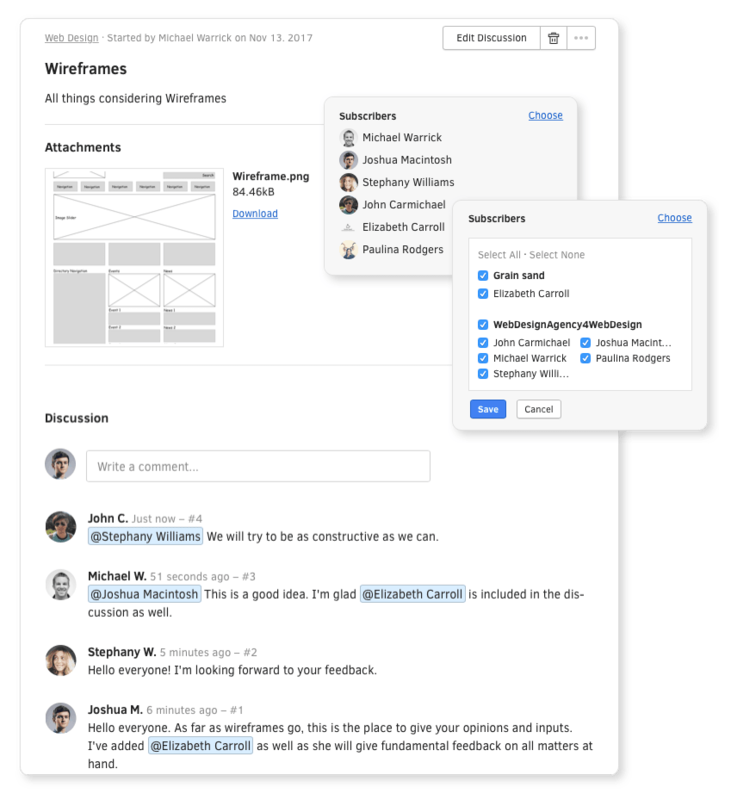 With ActiveCollab, your team can comment directly on the tasks and provide all the valuable feedback. Whether they will give all the details or just focus on the essence is totally up to them. The most important thing is for everyone to know exactly where to go for the information they are looking for and that they are regularly updated about the current status of the task at hand. Once the tasks have been delegated to the team, there are thousands of small subtasks, steps, and updates that you as a project manager need to be able to track. 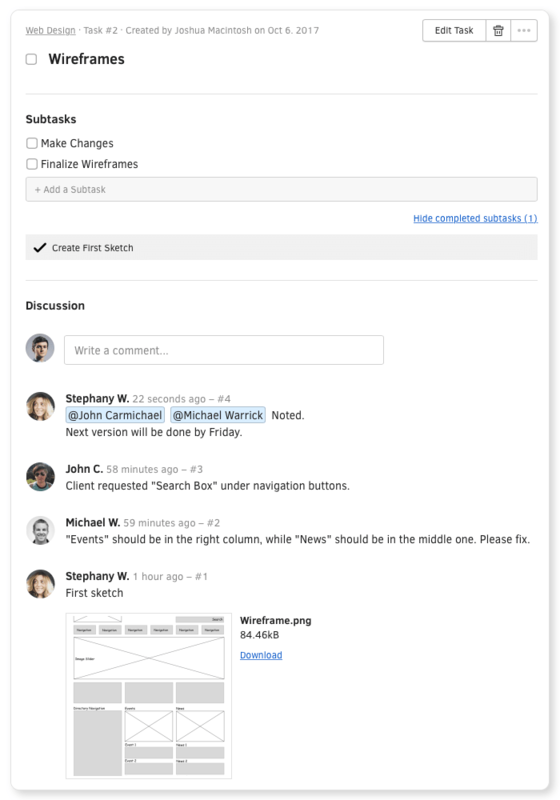 To keep everyone in the loop, invite them to participate in open discussions in ActiveCollab and let any person involved in the project easily view what’s going on in the project at any given time. Ensure that you involve all the relevant stakeholders and clients in the project. If discussions turns into a conflict because of the difference in viewpoints and attitudes to a particular issue, you need to know when to “take the wheel”. This wouldn’t be possible if you were not involved in the project process every step of the way and from an early start. ActiveCollab will regularly update you about all tasks you are subscribed to. Once all the discussion become visible, you will be able to judge when the discussion blew out of proportions and think of the best possible way to handle it or simply end it.